Vast storage space. Whether with hinged door or sliding door: the valore wardrobes provide exactly the required storage space. The doors are available in natural wood, coloured glass or in glass/wood. Cross-grained fronts and the integrated wooden strip handle are characteristic of the valore sliding door wardrobe. 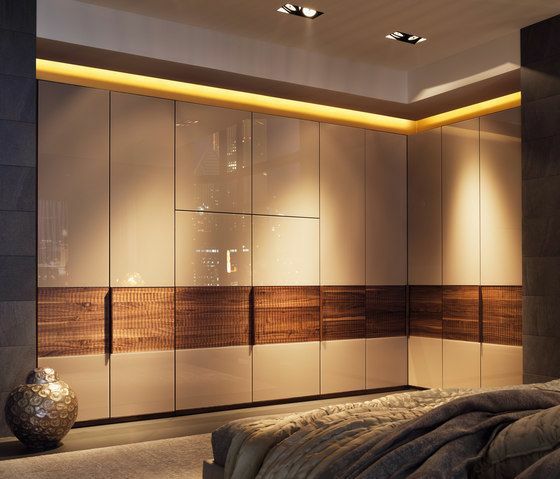 The valore wardrobes with hinged doors are available with flap handles in wood or stainless steel, as well as bar handles.